Van Anh Duong LTD, a reliable address in the packaging industry, specializes in manufacturing and supplying the OPP bags with high standard and suitable price on market. As the matter of fact, using nylon bags has negative effect on environment because nylon bags in soils prevent oxygen into that soils, because the soils cannot hold nutrition, water and cause erosion. As a result, water environment and soils are polluted and human health is seriously threatened. In such serious cases, the degradable bags come into life in attempt to improve our environment as well as meet human needs. Common degradable bags on market. 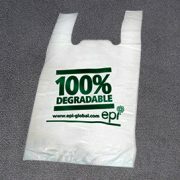 Biodegradable bags from organic sources such as cornstarch and wheat flour. 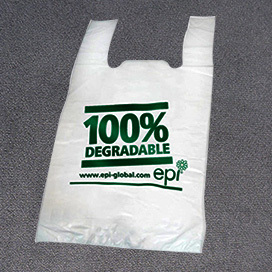 All degradable bags are imported from high reputation company and supplied by Van Anh Duong LTD. All materials to produce the bags are tested carefully with all required standards related to environment as well as safety for users before the production is processed. Don’t hesitate contact us for further more information. We are always looking for cooperation and support from you. Address: 100/474 Thich Quang Duc Street, Ward 5, Phu Nhuan District, Ho Chi Minh City. Bản quyền @ 2016 i-Marketing - iweb247.com - Thiết kế website chuyên nghiệp.